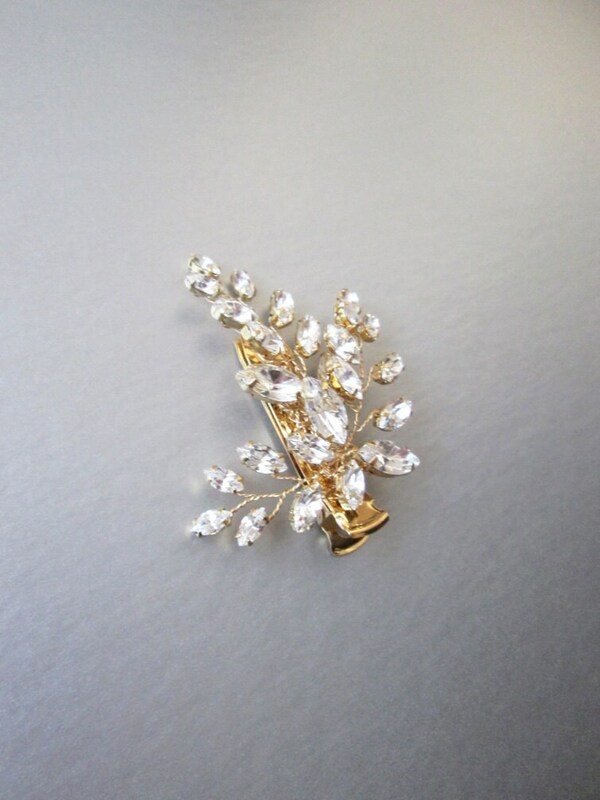 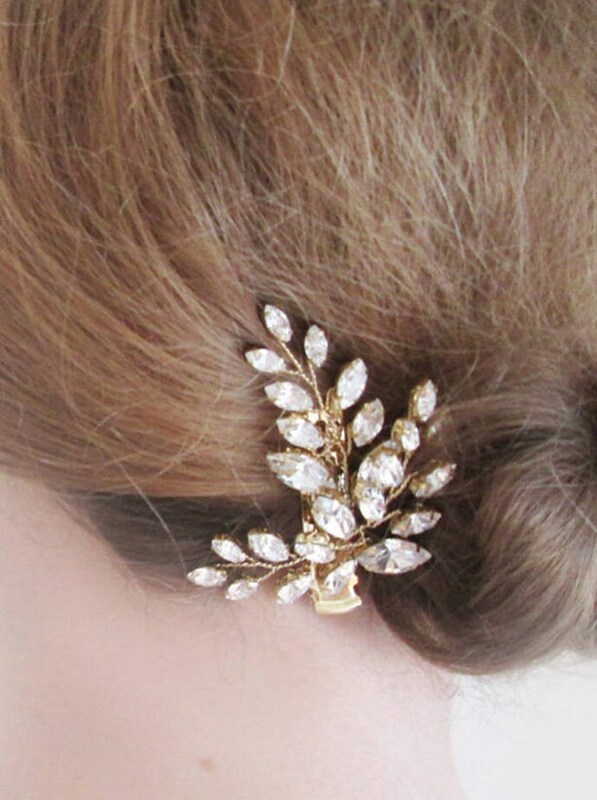 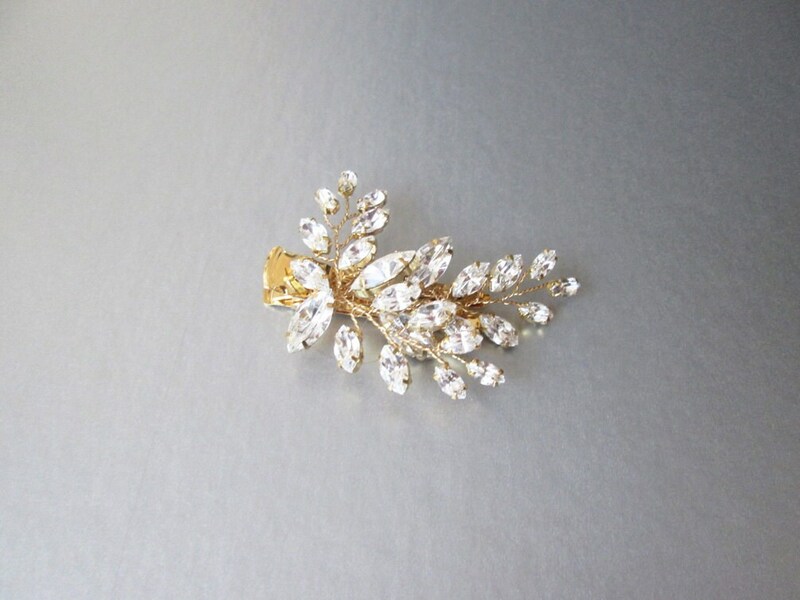 This sparkly crystal branch alligator style hair clip measures about 2 3/4" long and 2 1/4" wide. 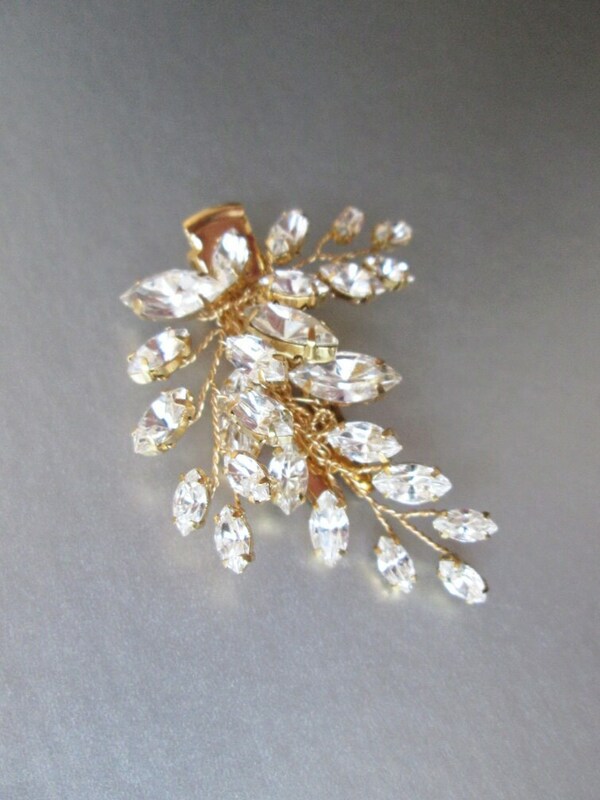 Made with Swarovski crystals. 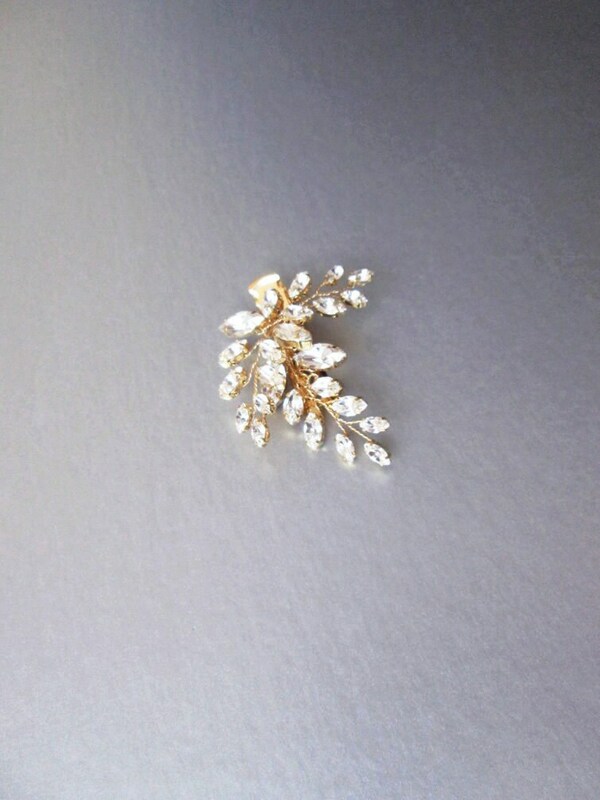 Available in gold, silver or rose gold finish.